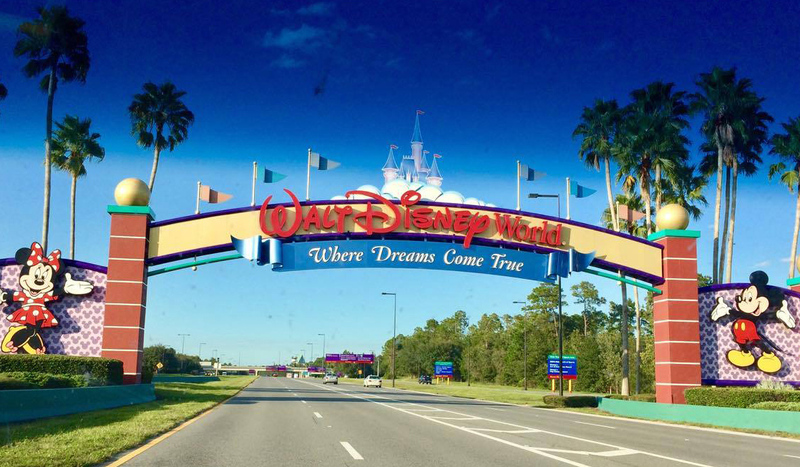 If you have teens, you may be wondering if Disney World has enough to keep them entertained. After all, a bored teenager can put a damper on any family vacation. Avoiding eye rolls and comments like, “Can we leave now?” is the goal. Luckily, Disney World really does have something for everyone. 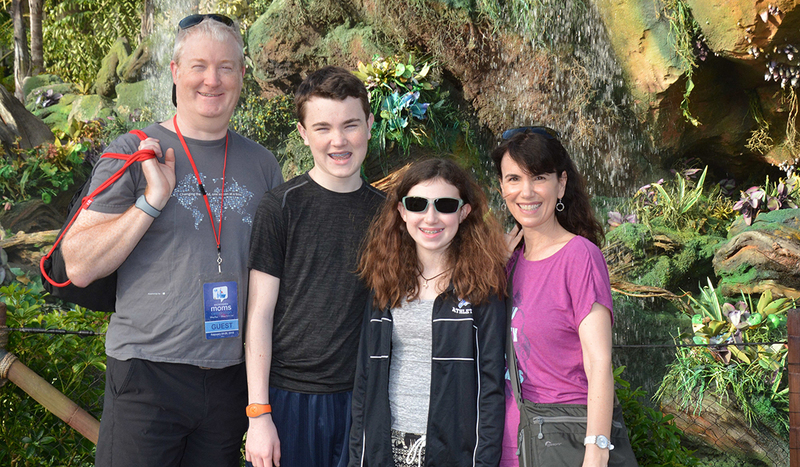 Our Traveling Moms have visited with their teens, who helped us create this list of 9 top rides for Teens at Disney World. Having never visited Disney World as a family, I worried if there would be enough rides to keep my teens interested. My son is 15 and my daughter is 13. Heading to the parks for the first time, the kids were definitely skeptical, thinking Disney World was for little kids. I accepted the challenge to prove them wrong. Even before we left home, I did some research and mapped out a plan of the rides I knew they would enjoy. I also asked other TravelingMoms to survey their teens to help create our final list. While this ride would be higher on the list for my daughter, the motion sickness factor dropped it to the bottom for the rest of us. There are two versions for this space mission simulator ride. Orange is an intense Mission to Mars that spins and tilts to simulate the speed and G-forces of a spacecraft launch and reentry. The Green Ride is a gentler space mission orbiting the Earth. In each mission, four riders are assigned roles of navigator, pilot, engineer and commander, and given tasks to complete during the flight. Even I got a kick out of being the pilot on my mission. I felt so important. TravelingMom Tip: If you are prone to motion sickness (even a little bit), we recommend taking the Green ride. My husband and daughter were too “chicken” to ride this one, but my son and I thoroughly enjoyed it. Tower of Terror is a unique free-fall ride with a Twilight Zone theme. Riders board a service elevator in a “haunted” hotel. After an initial ride through some of the spooky floors of the hotel, you’ll experience the first big drop. After the initial drop, you will be raised and dropped a random number of floors. Each ride follows a different pattern, making no two rides alike. TravelingMom Tip: We don’t recommend riding after a meal as your stomach ends up in your throat a number of times. This is a log flume ride where the thrill factor is medium. Each log holds 8 passengers with 4 rows of 2 people. There is a big drop at the end of the ride, causing a huge splash. That said, it is an entertaining and long-lasting ride at 12 minutes. It follows the story of Br’er Rabbit as he searches for his “laughing place” by leaving his briar patch. My kids thought the animatronic characters were cute, but enjoyed the three small drops and the “grand drop” at the end of the ride best. We enjoyed getting wet since it was a hot day. TravelingMom Tip: If it’s chilly or you don’t want to get wet, wear a poncho. Also protect your belongings like cell phones and cameras in a plastic bag. Themed like a runaway train, Big Thunder Mountain Railroad is a reasonably mild coaster with no loops, huge drops or corkscrews. It does reach about 30 miles per hour at its maximum, so it’s still a thrilling ride. My husband is not a huge coaster fan, but he enjoyed this one. 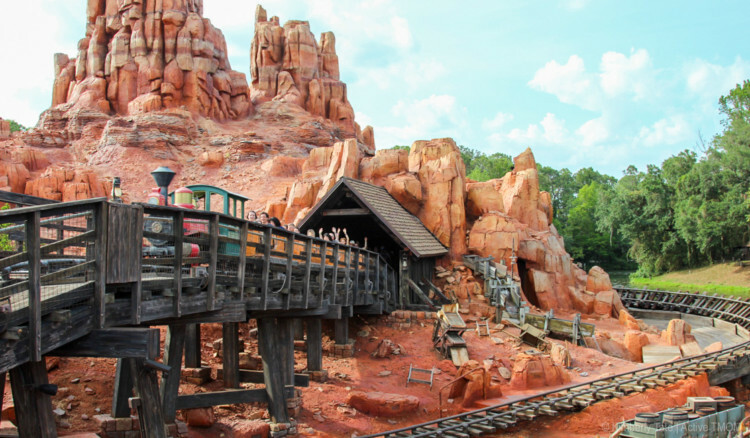 The ride’s scenery is impressive, including mining equipment, animatronic animals, and a huge rocky mountain facade. Active Traveling Mom Kim Tate says all the “mountain rides” at Magic Kingdom are great for teens at Disney. 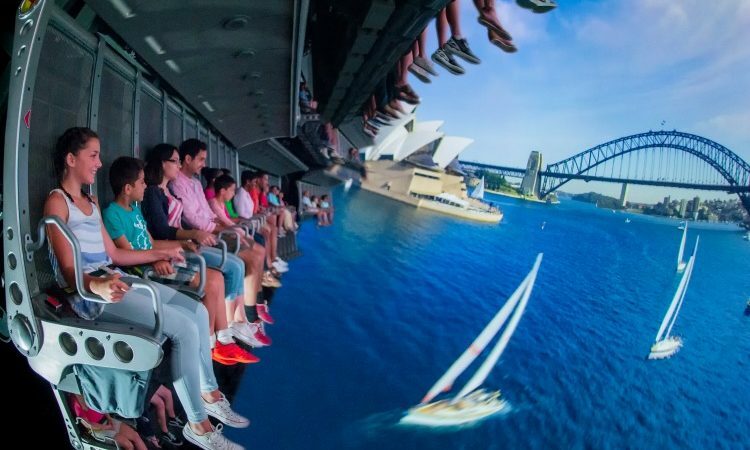 Recently updated, Soarin’ now takes riders around the world instead of just over the United States. 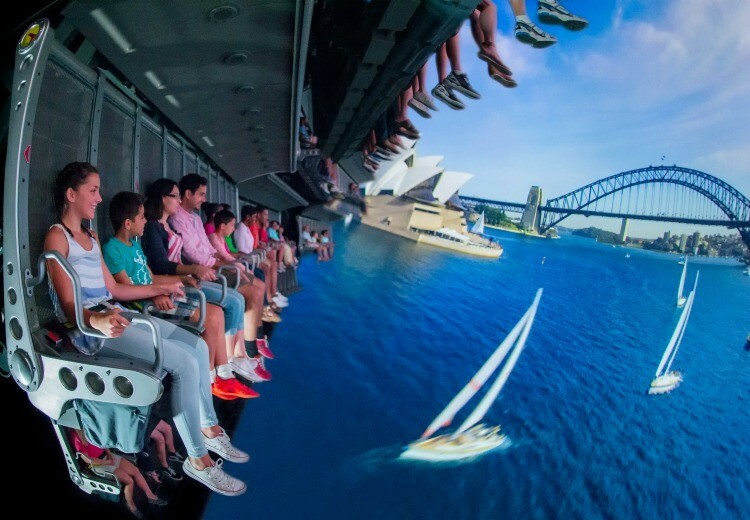 It’s a simulated hang-glide over both man-made and natural wonders of the world, like the Great Wall of China and Iguazu Falls in South America. Inside an 80-foot IMAX projection dome, riders are lifted 40 feet in the air and surrounded by stunning panoramas. Wind blows though your hair and there’s even simulated smells to add to the experience. Examples include the grass smell as you fly over an elephant herd and tropical flowers over the pacific islands. Before boarding, riders use large touch screens to design elements of the vehicles they’ll be testing. My daughter and I chose eco-friendly features like solar panels, while my son and husband went for speed, adding rocket boosters to their vehicle. Once inside the six-seat test vehicle, you’ll take a ride that evaluates your car for efficiency, response, traction and speed. 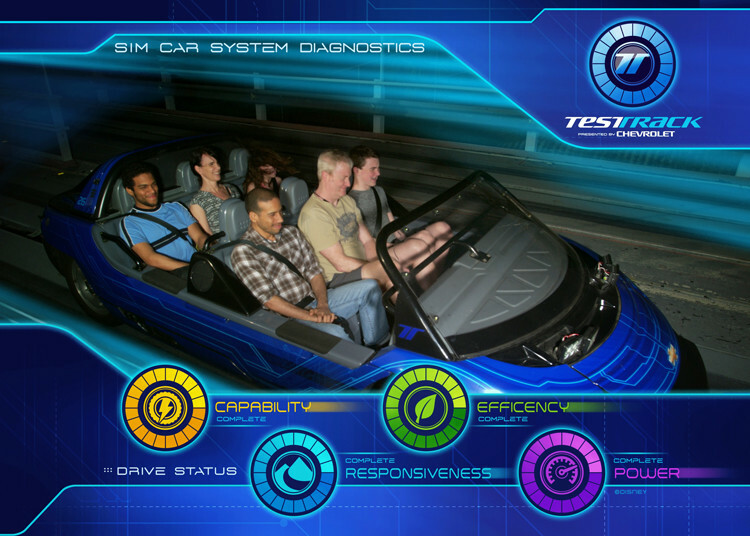 The ride culminates in a blast through the wall of the Test Track facility for a high speed ride around the outside of the building. After your ride, the final score for your design is revealed and you can see how it compares to other riders. TravelingMom Tip: The wait for this ride can get quite long. We recommend using a Fast Pass. Another option is going through the single-rider line. One of the more intense thrill rides at Disney, Expedition Everest is one of our favorites. Faster than any of the coasters at Magic Kingdom, this ride takes you both forward and backwards with large drops and a number of high-speed twists and turns. You might even spot a Yeti toward the end of the ride as long as you are looking in the right direction. Hint: look up and to the right. Some folks said the front seat was best, but others said the back row provided the wildest ride. We were in the 5th and 6th rows and had a blast! TravelingMom Tip: If you don’t have a fast pass, we recommend using the single-rider line. This is a true Disney classic! It’s one of my favorite memories of Magic Kingdom from when I was a teen. I’m thrilled to report that my kids now love it as much as I do! This ride is an indoor coaster totally in the dark. Riders travel through space, dodging asteroids and planets in two connected rocket pods that holds 3 passengers each. My kids rode this coaster 4 times during our visit. I was not sure if Disney had a ride that would beat our favorites at other theme parks, but this one takes the cake! It is truly the most magical ride we have ever experienced. We rode it twice and would have done more if the wait times had not been so long. Riders sit in individual “vehicles” in a position similar to that of a racing motorcycle. It simulates flying on a the back of a mountain banshee. The ride comes to life with the aid of 3-D glasses, spectacular visuals, sounds effects, wind gusts, and a bit of water here and there. Even if you’ve never seen the movie, this ride is incredible! Traveling Mom Tip: Book your fast passes as soon as possible to avoid the massive wait times for this ride. Of course there is more than just rides to keep teens occupied at Disney World. 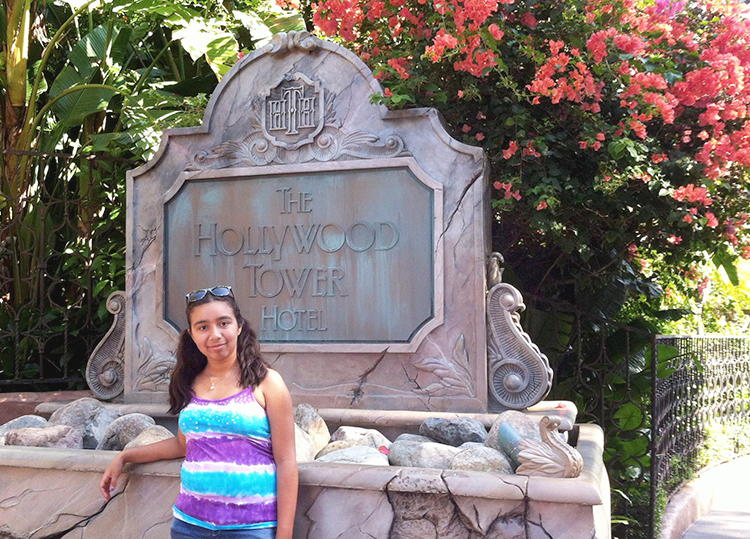 Check out 5 Ways for Teens to Have Fun at Disney World Beyond the Thrill Rides. This is an indoor coaster similar to Space Mountain, but with bigger thrills. It goes 0-60 MPH in 2.6 seconds, loops and corkscrews while you listen to Aerosmith music. The theme is that riders take a stretch limo (aka, the coaster) to join the band at a concert. 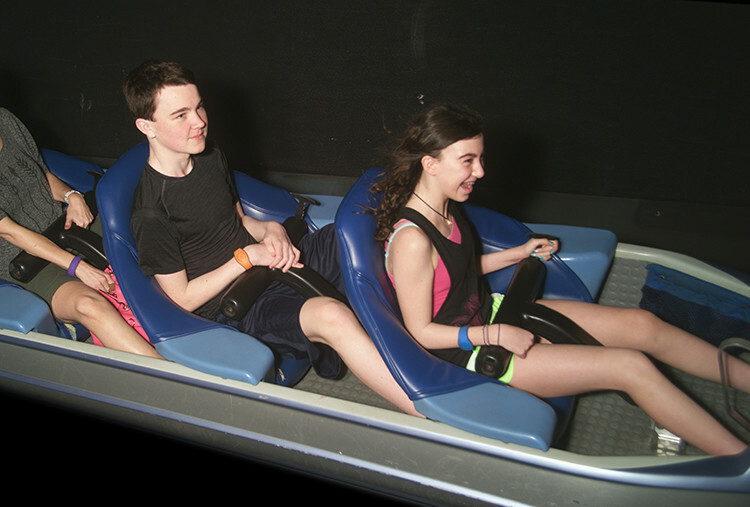 Some reviews say this is a smooth coaster, but we found our heads jostled a bit too much for our liking. With the grand opening of Toy Story land at the end of June, the Slinky Dog Dash roller coaster will likely join this list. We can’t wait to try it!